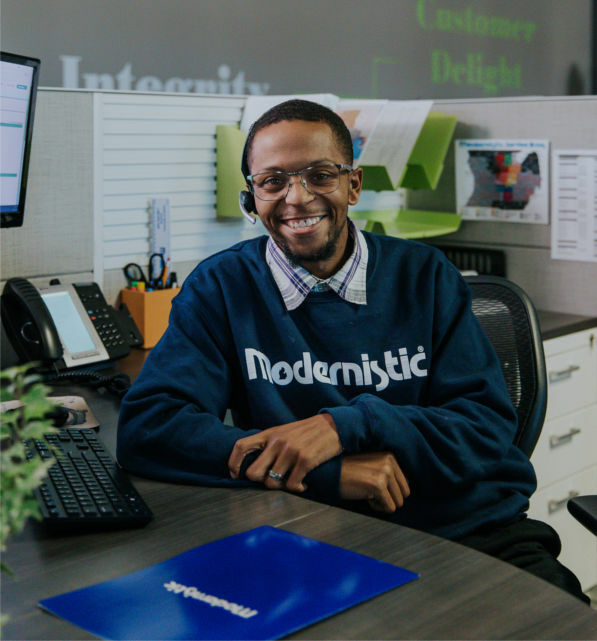 Throughout the past 45 years at Modernistic, two things have never changed: Our love for each and every customer, and our customers’ love for Modernistic. Part of the reason we’ve been around as long as we have (since 1973!) is because of the amazing customer feedback we get regularly. Customer feedback has been the backbone of our business for years. Because making sure our customers are happy doesn’t just make us feel fuzzy inside, it helps us inform our business and the kind of service you expect and deserve. In fact, we love our customer feedback and testimonials so much, that we are dedicating this entire post to that group of loyal, vocal customers! We would love to hear from you about your great experience with Modernistic too! Drop by our Facebook Page to say hi and let us know how Modernistic has made your home better – We can’t wait to hear from you! Modernistic has been delighting customers since 1973 with Simple & Quick carpet, upholstery, tile, hardwood, area rug, air duct, and dryer vent cleaning, as well as expert Flood, Fire, Mold, and Storm damage recovery. Click or call us today!